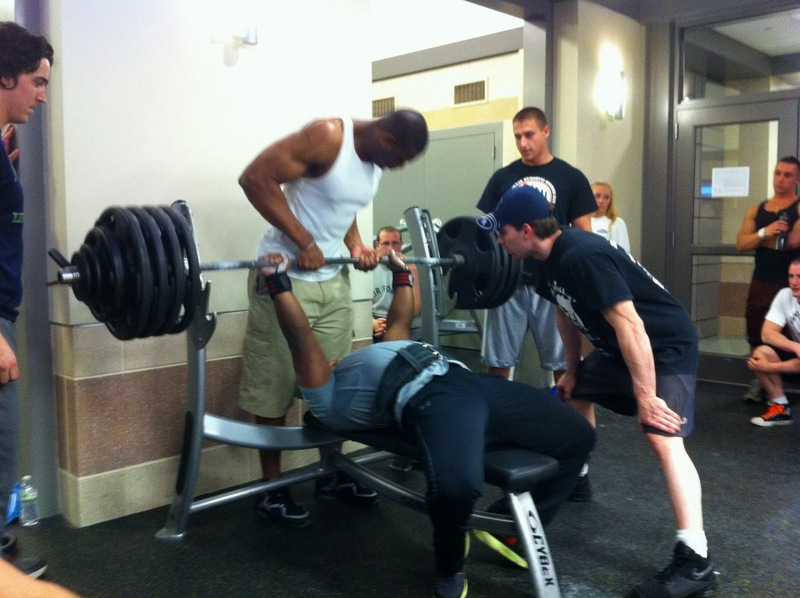 Bench Press Competition. Students will begin to arrive at 5:30pm for the weigh-in process, and will have the opportunity to warm up before the competition officially begins at 7:30pm. The weight classes will remain the same for this year’s competition. The three different weight classes include 196 & Above, 171-195, and 170 & Under, where all participants will be split into the three groups and will be given three attempts to record a max lift. Each lift has to be equal to the last if it was a failed attempt, or a minimum of 10 and 5 pounds more than the last successful lift for the second and third rounds, respectively. Awards will be distributed for 1st and 2nd Place for each weight class, along with one male and one female with the Best Overall Lift. 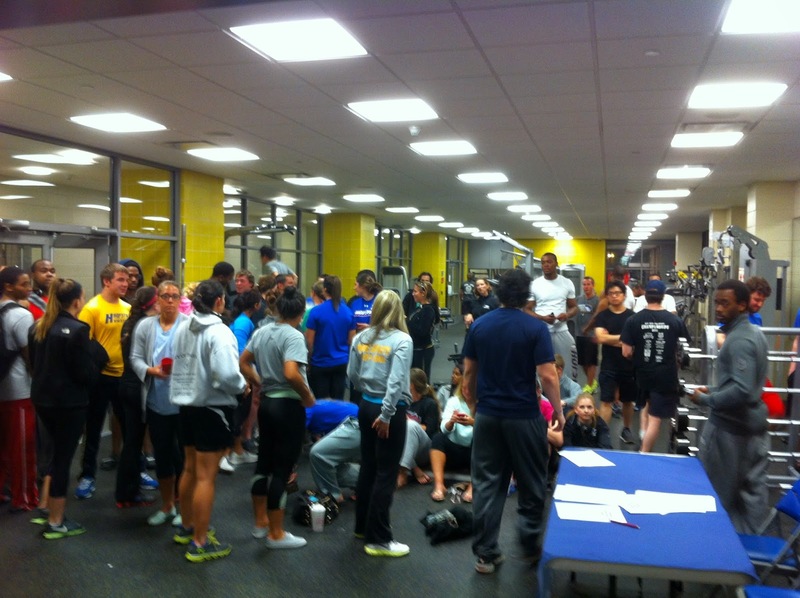 With 18 competitors last year, this year's event seeks an even greater turnout. The 2013 competition winners included Tony Malave, who claimed the 196lbs & Above weight class title, with a max lift of 455 lbs. at 230lbs., for a 1.98% (percentage of lift/weight). Johnny Larson captured the 171-195lbs. 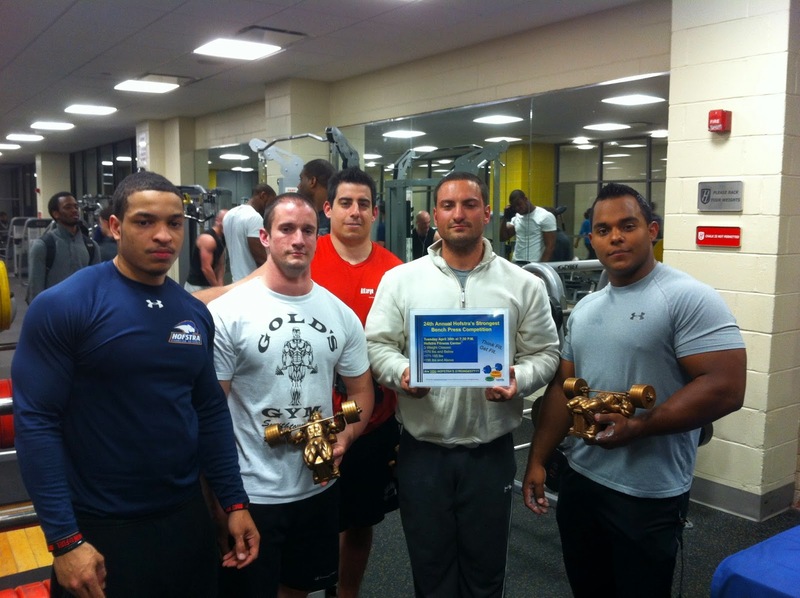 weight class, with a max lift of 385lbs., at 184lbs., for a 2.09%, which was the competition’s best overall lift. 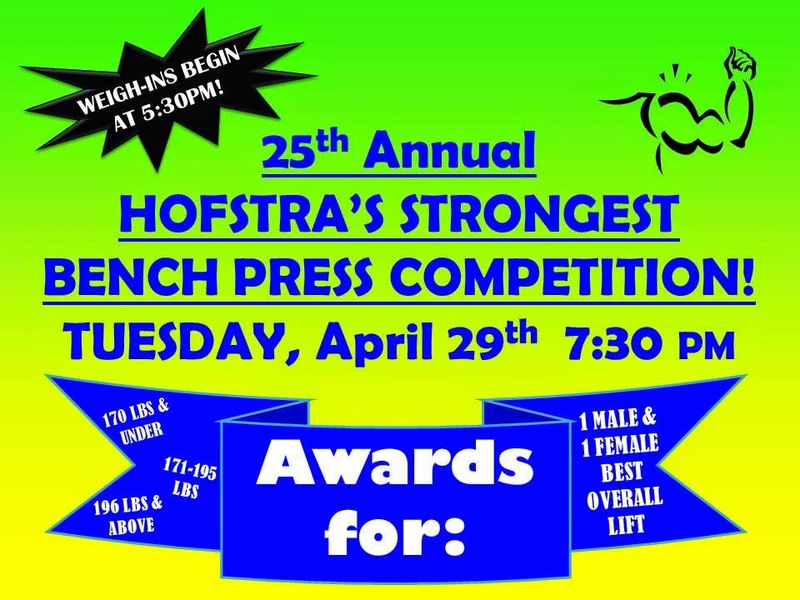 This statistic pinned Larson as the 2013 Hofstra's Strongest Overall Champion. Tom Scurto weighed in at 152 lbs and took home the 170lbs & Under weight class title, with a max lift of 285 lbs., for a 1.88%. Who will be this year's winners? Come down to the Fitness Center on Tuesday, April 29 to find out! MISPO Celebrates First Annual Ally Week!